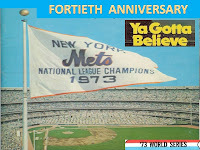 This is another post honoring the 40th Anniversary of the 1973 N.L. 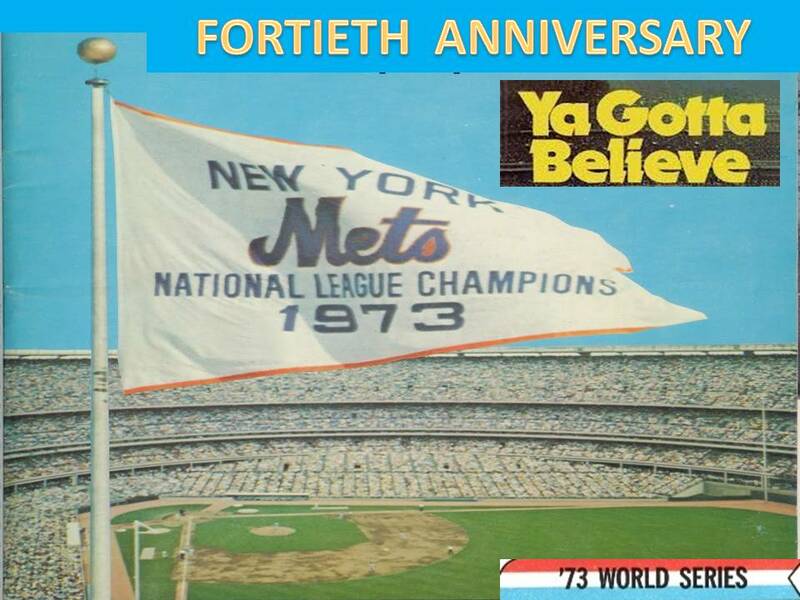 Champion New York Mets. A big Saturday afternoon crowd of 48,000 filled up Shea Stadium to first witness an Old Timers Day classic between former Brooklyn Dodgers & AL New York Players vs former New York Mets from the sixties. A bunch of original 1962 Mets were on hand; Richie Ashburn, Ken MacKenzie, Jim Marshall, Rod Kanehl, Frank Thomas & Roger Craig. 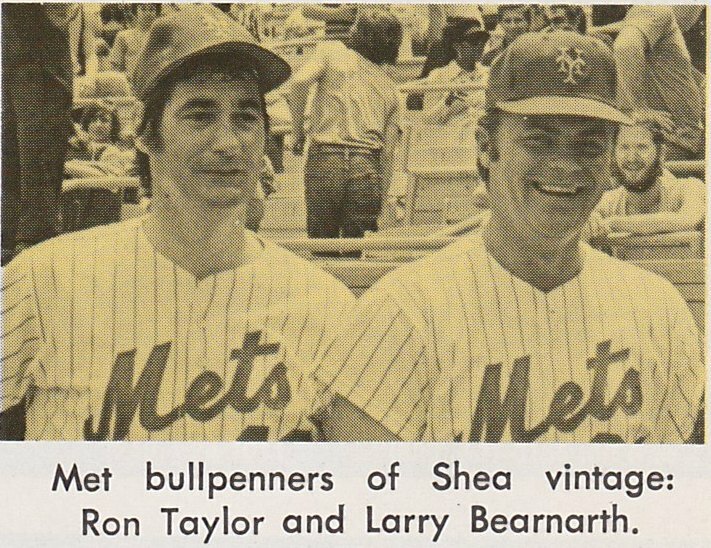 Other Mets on board included 1969 Amazing Mets Reliever Ron Taylor & pitcher Larry Bearnarth. 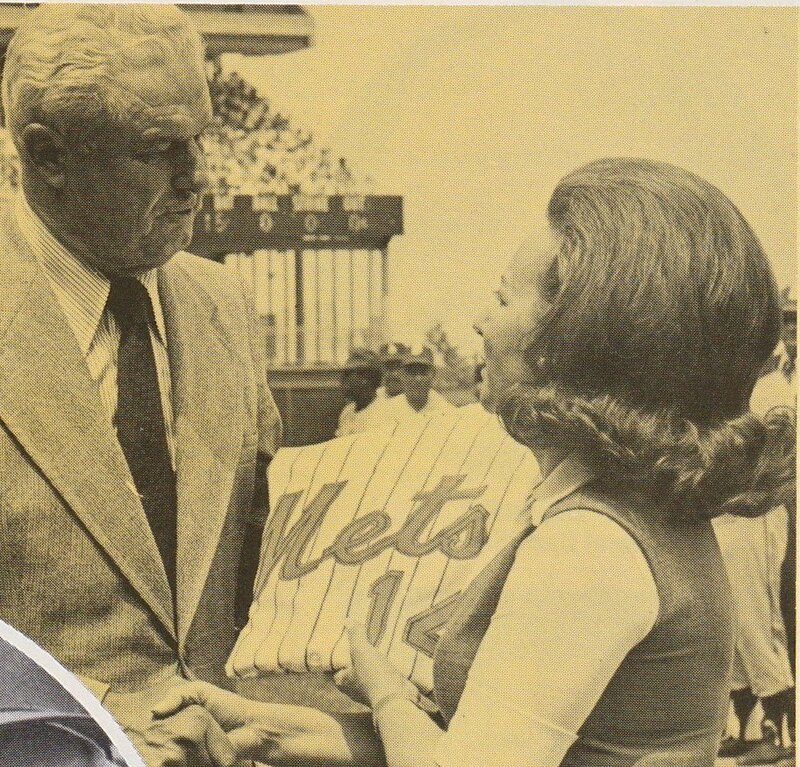 It was on this day, the Mets officially retired Gil Hodges #14, as Mets GM Bob Scheffing presented Gil's widow; Joan Hodges with his Mets uniform. 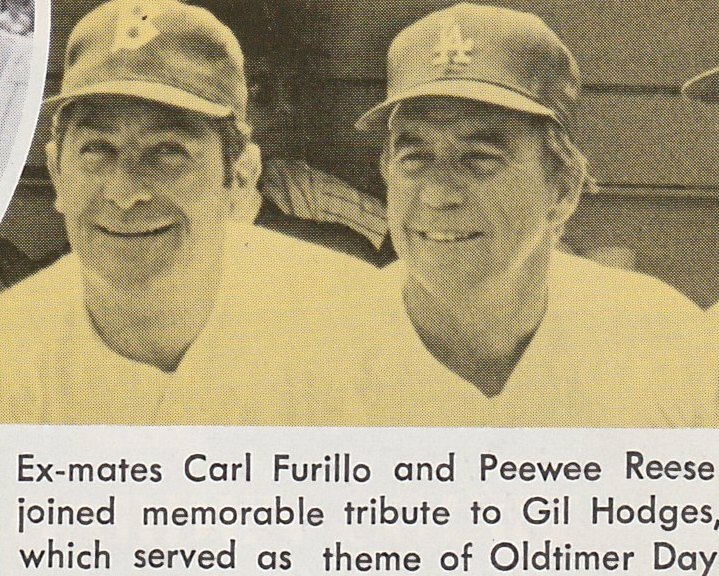 Former Brooklyn Dodgers; Carl Furillo, PeeWee Reese, Ralph Branca, Carl Erskine, Sandy Amoros & Cal Abrams were all in attendance. 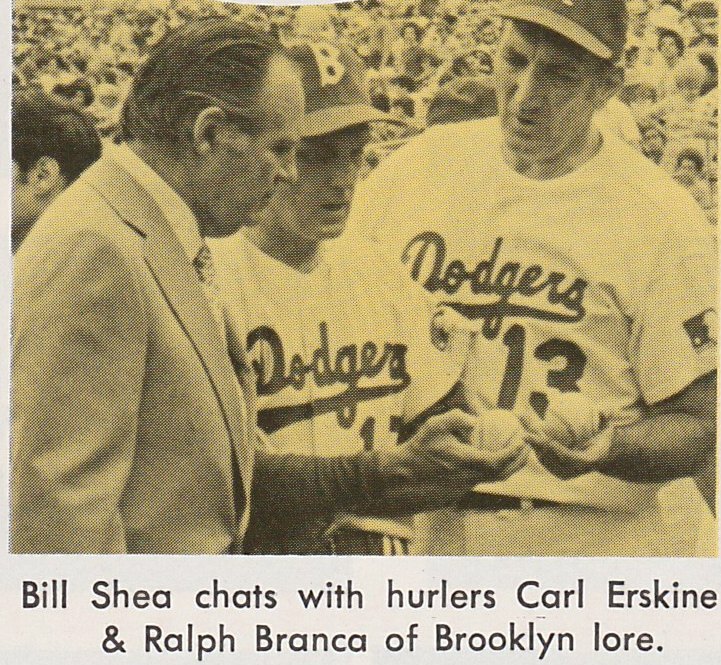 The Old Professor Casey Stengel was on hand along with AL New York players Joe DiMaggio, Whitey Ford & current 1973 Mets manager; Yogi Berra. 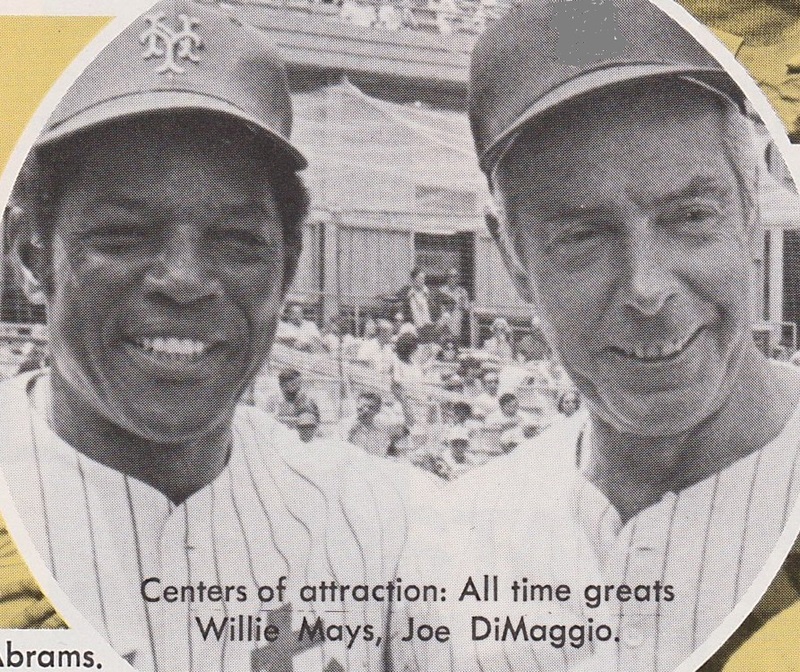 Afterward the Mets would host the Los Angeles Dodgers who were still drawing big crowds from their former Brooklyn fans. The Dodgers had only left New York 15 years before. On this day the Mets John Matlack (2-8) would take the mound against the Dodgers AL Downing (5-2). Trivia: Downing would serve up Hank Aarons record career HR #715 the following season. 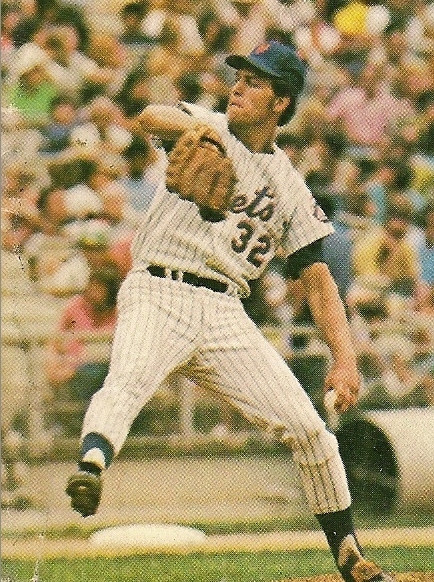 The Mets were beat up with injuries as Bud Harrelson, Jerry Grote & Cleon Jones all on the DL. The line up that day consisted of Ted Martinez 3B/ Felix Millan 2B / Willie Mays CF / Rusty Staub RF/ Jim Fregosi SS / John Milner 1B/ George Theodore LF & Duffy Dyer behind the plate. 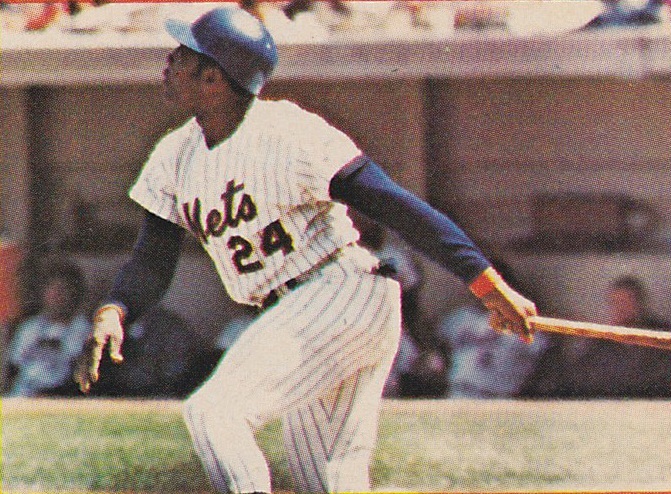 In the bottom of the 1st, after the Mets were down 1-0, Rusty Staub hit a two run double, scoring ted Martinez who had singled & Willie Mays who had walked. The 42 year old Mays, who was barely older than some of the old timers in the first game, put on a show himself. He made a classic Willie Mays circus catch in the game, saving a run & also displayed a fine day at the plate. He hit career HR #655, third on the all time list at the time, to the delight of the Shea fans. His big HR came in the bottom of the 3rd inning, to tie up the game 2-2. Matlack & Downing pitched to the tie game into the 7th inning when Doug Rau replaced Downing. In the bottom of the 8th inning, Felix Millian got on with a base hit. 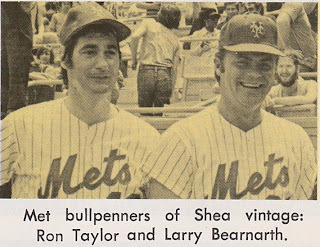 Rusty Staub then doubled down the left field line, scoring Millan with the winning run. Matlack went the distance, allowing just one earned run on seven hit, striking out four batters. The win had the struggling Mets at 23-27 now 7.5 games behind the first place Chicago Cubs.